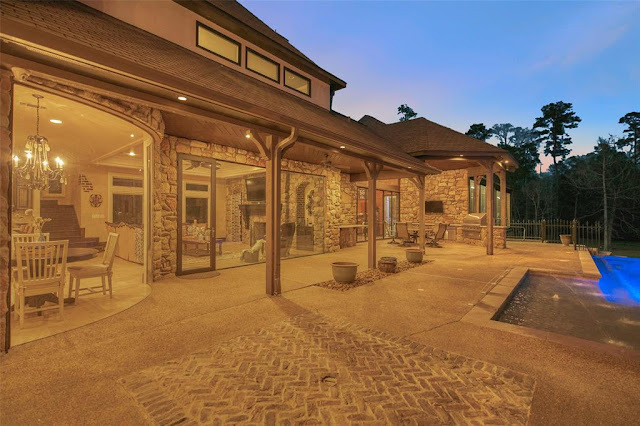 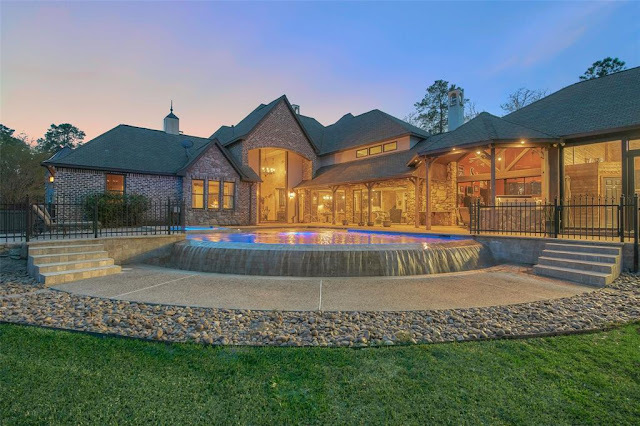 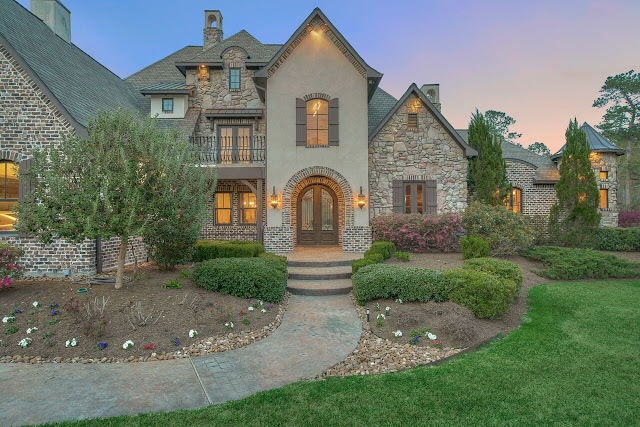 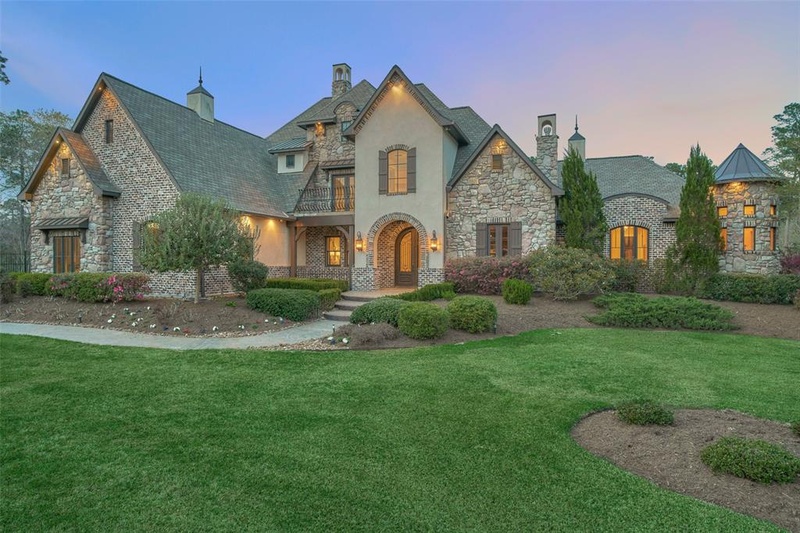 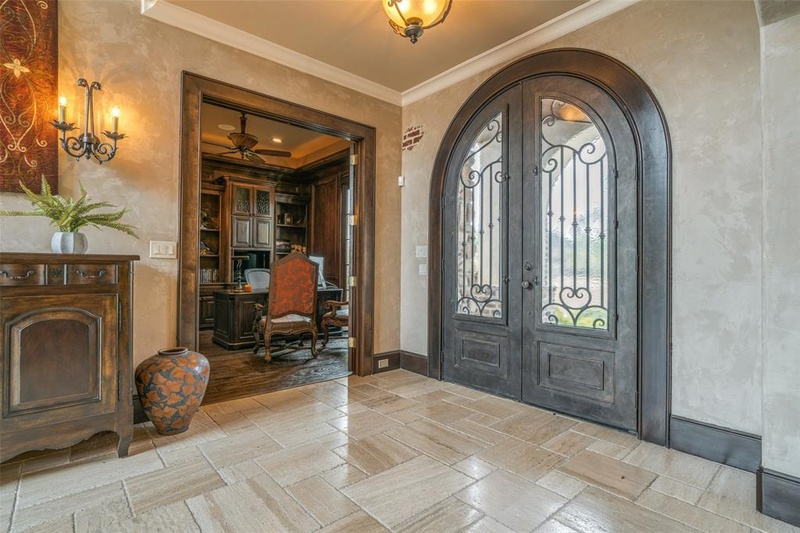 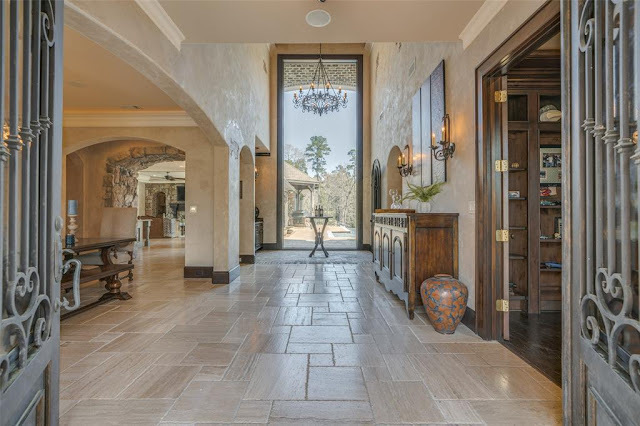 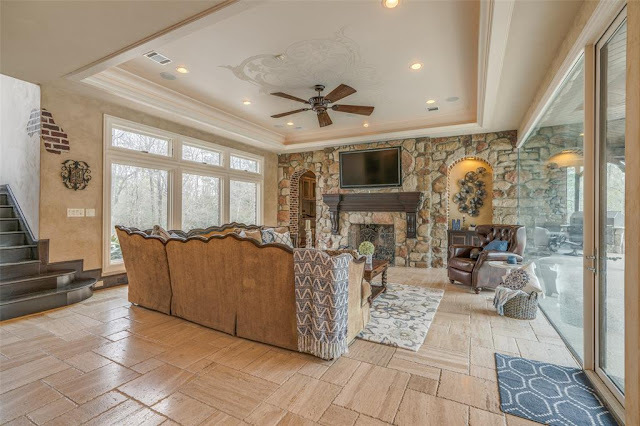 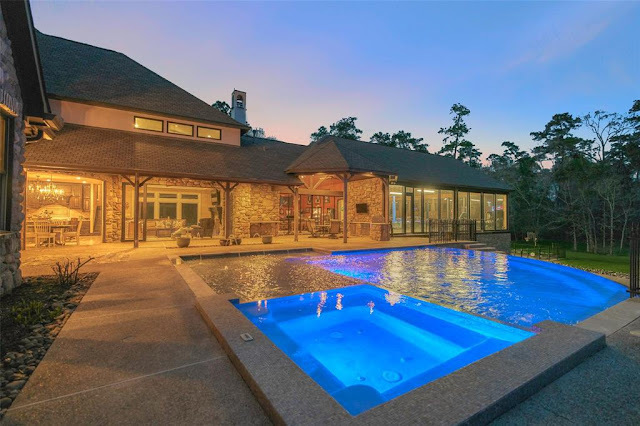 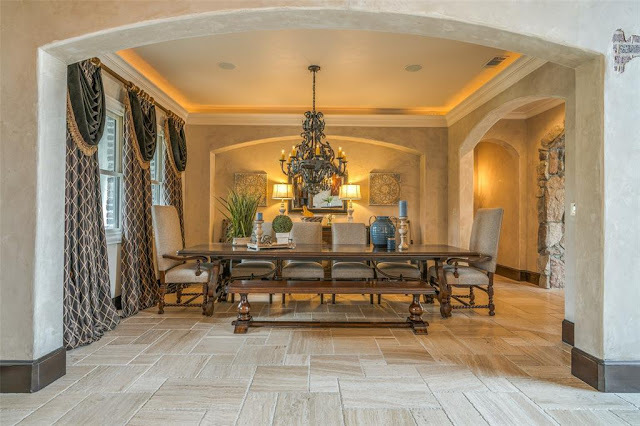 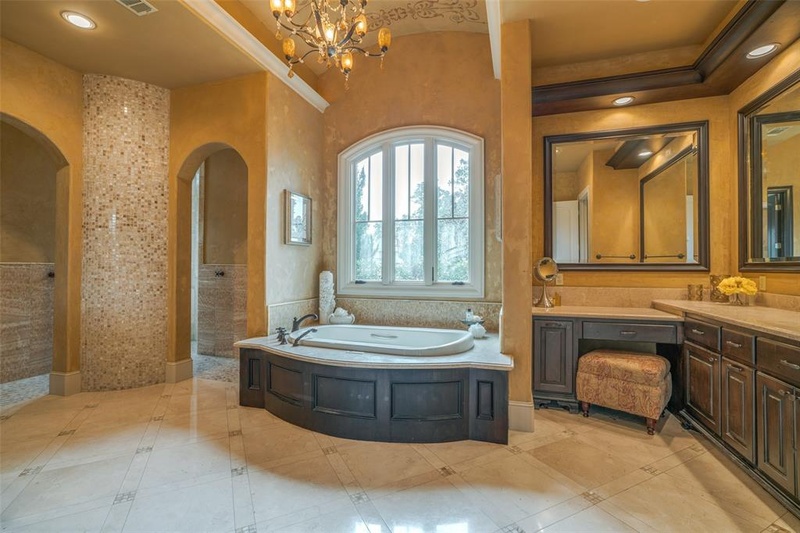 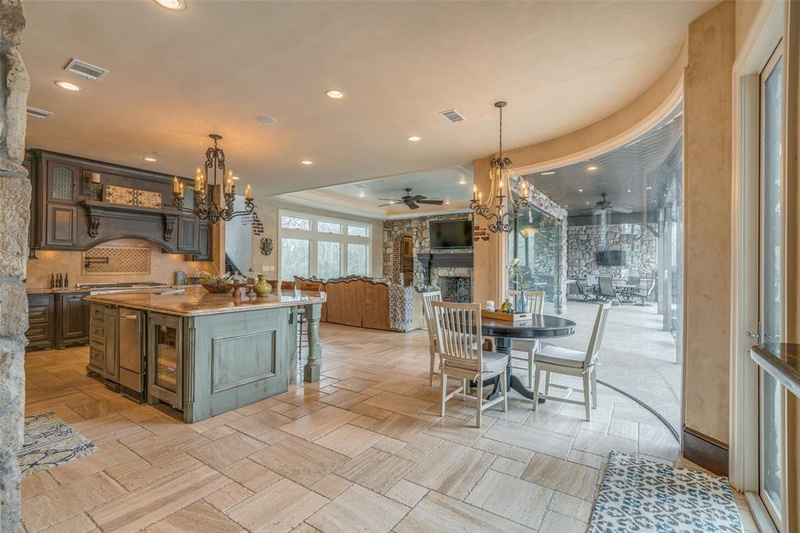 Situated on just over six acres of land in Spring, TX is this Mediterranean-inspired mansion that is clad in brick, stone, and stucco. 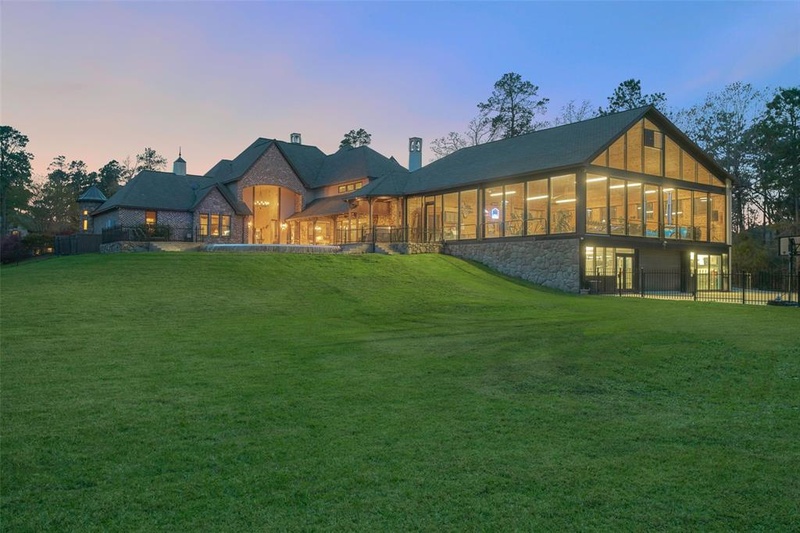 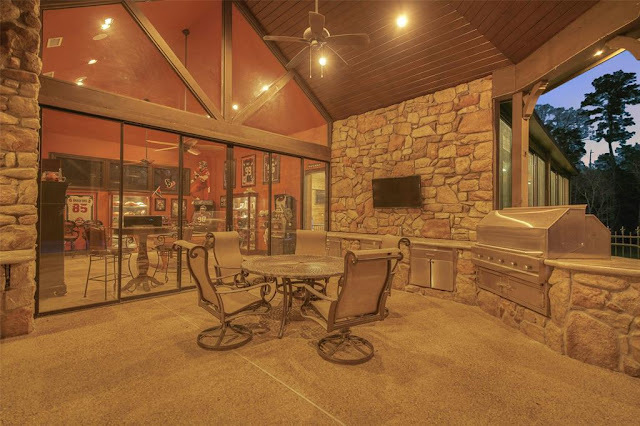 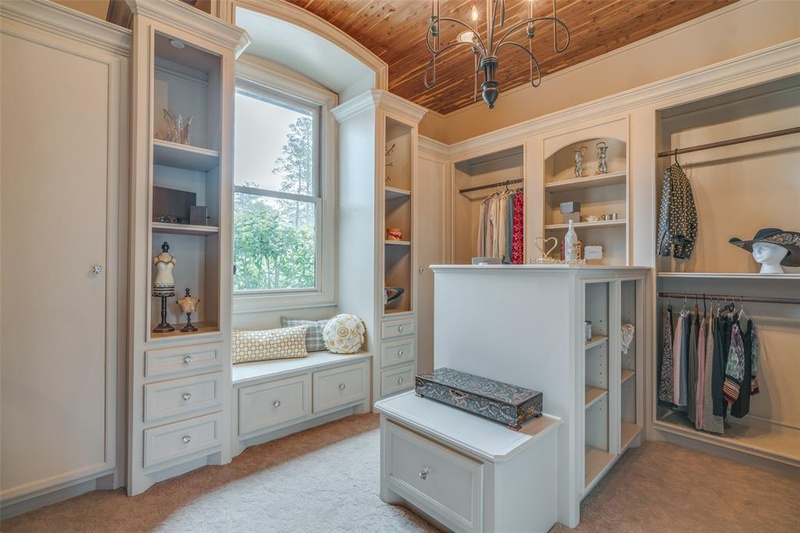 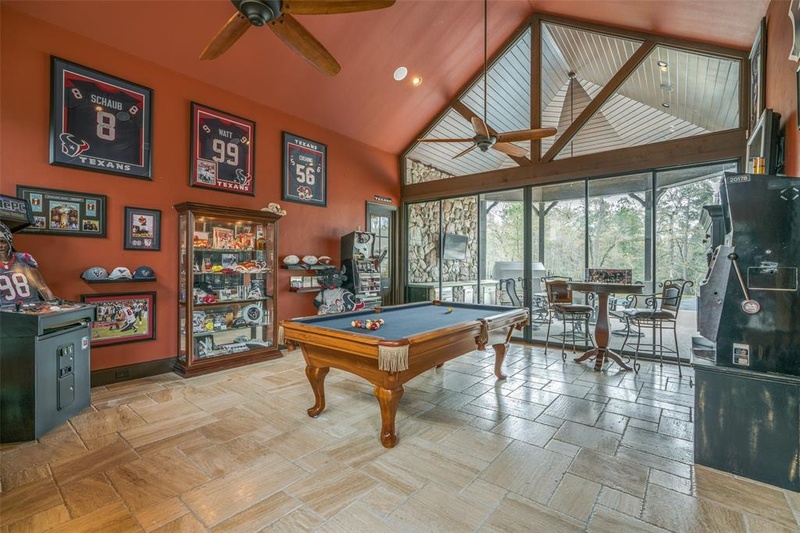 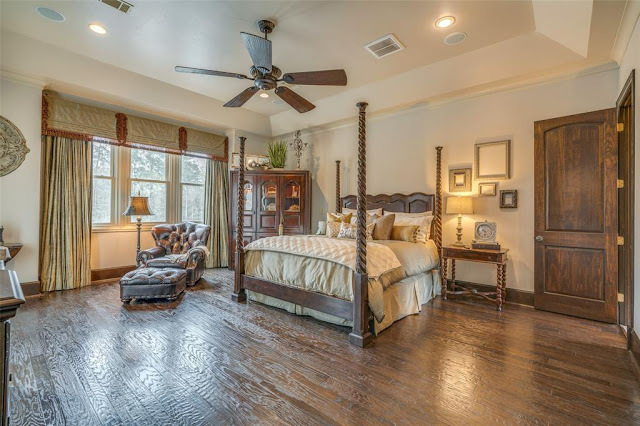 It features approximately 11,800 square feet of living space with four bedrooms, five full and two half bathrooms, and an entry that sports one of North America's largest single-pane windows measuring 25 feet in height! 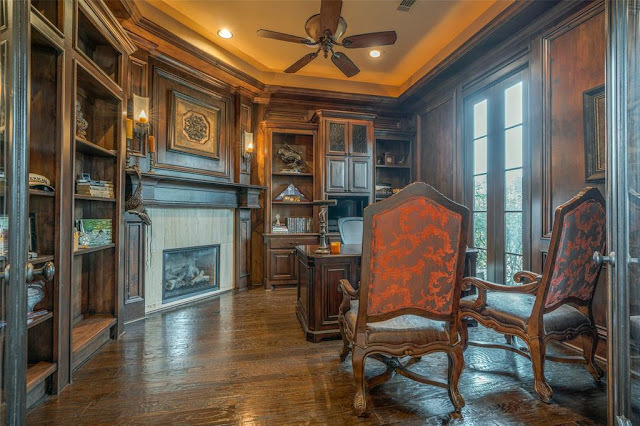 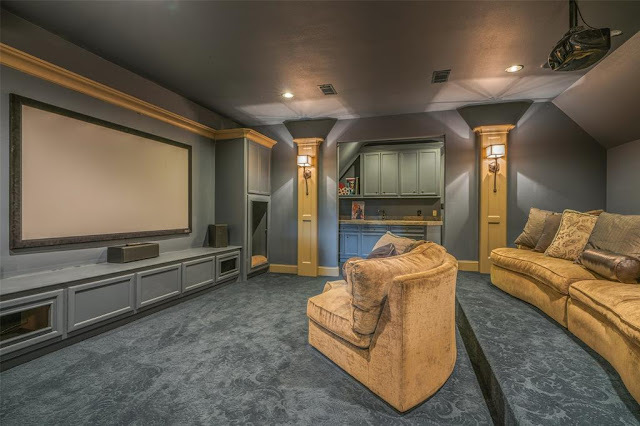 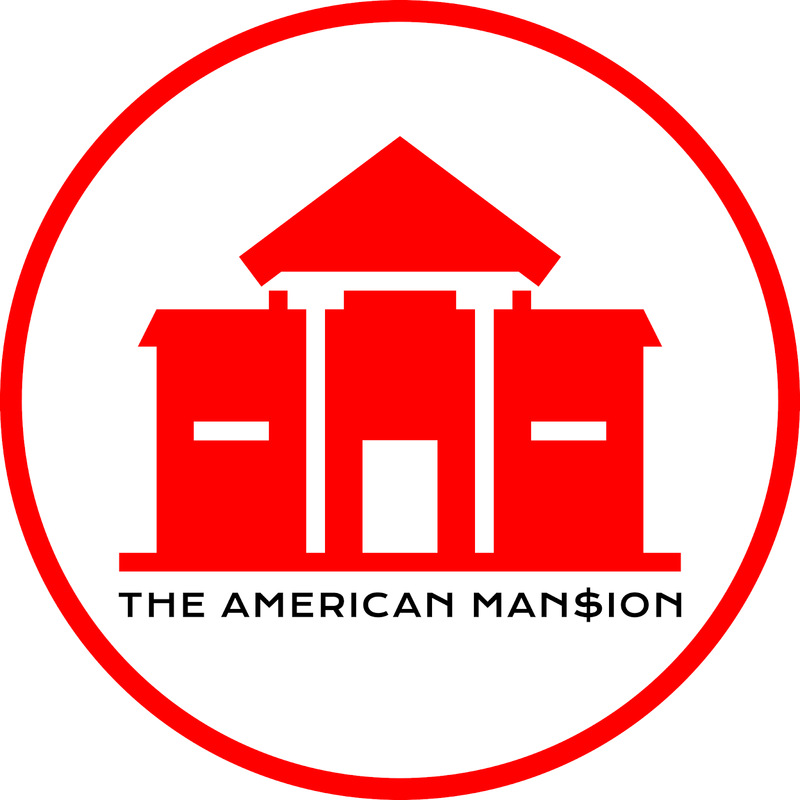 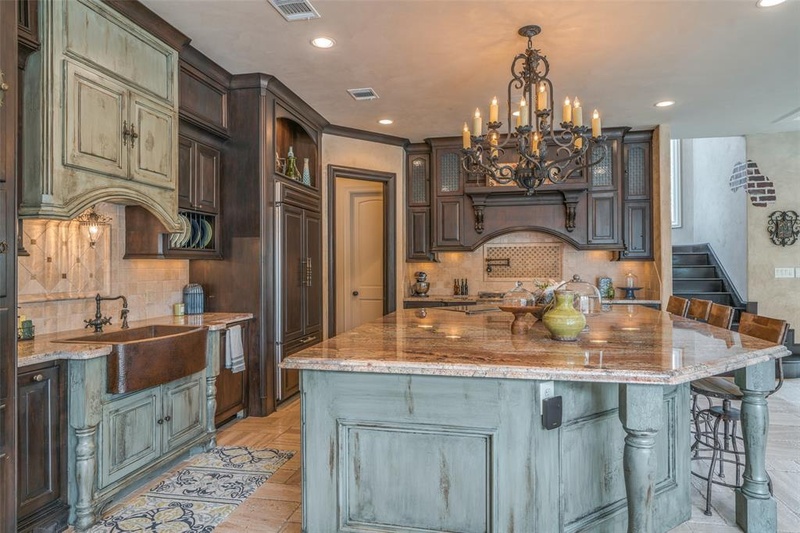 There is a formal dining room, a dry bar, a 500-bottle wine closet, planning pantry, gourmet kitchen with Hibachi-style cooktop on island, breakfast area with curved single-pane window, rear staircase, family room with fireplace and another large single-pane window, wood-paneled library/home office with fireplace, two-story game room, upper level guest suite, home theater, and craft room, and a three-car garage back on the main level. 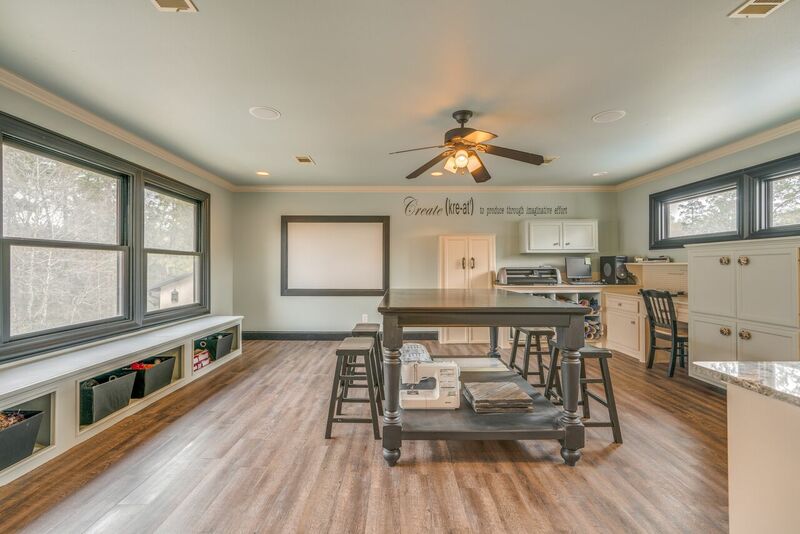 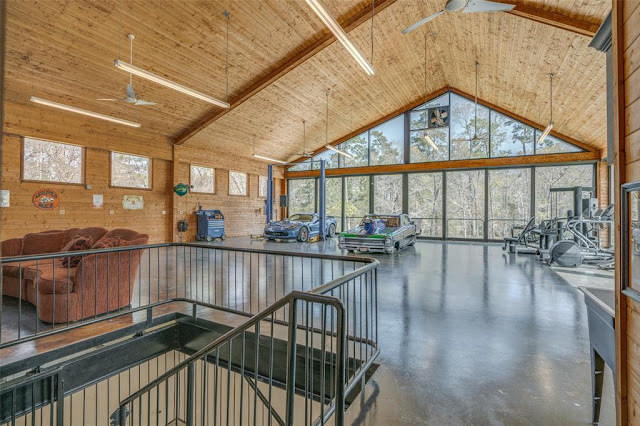 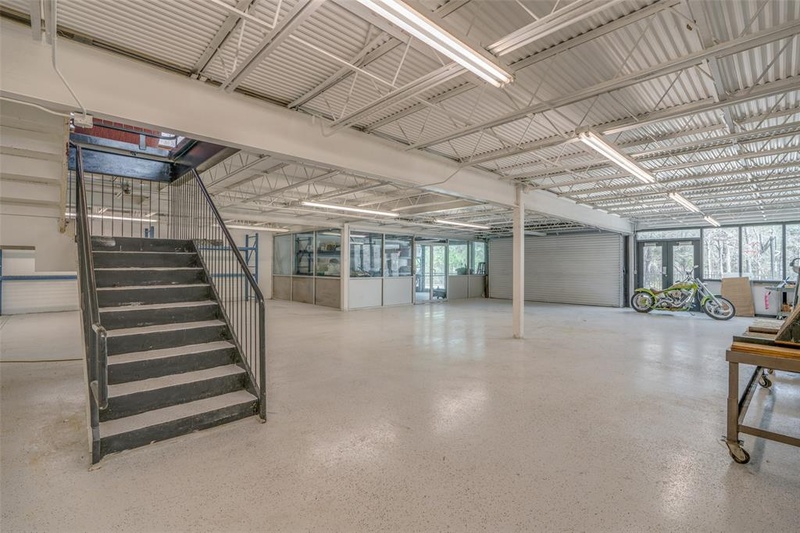 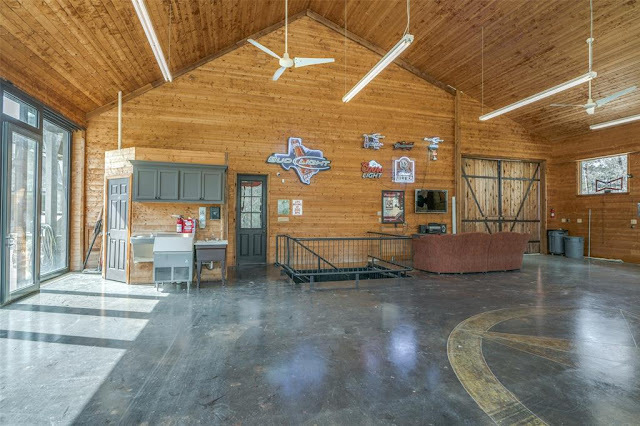 The 5,000 square foot two-level commercial-grade garage is a car collector's dream and includes a full bathroom, lift, and an expansive lower level shop. 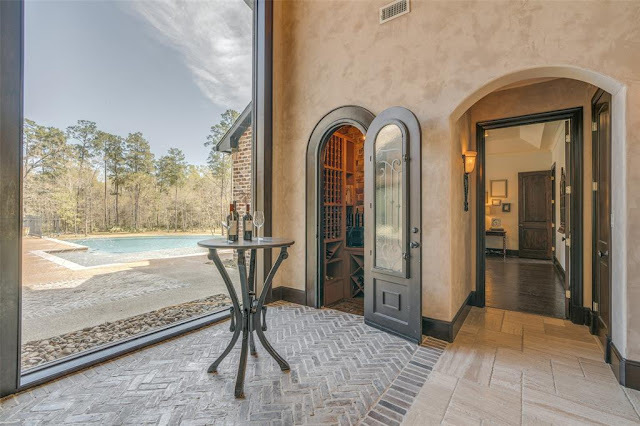 Outdoor features include a gated entrance, motor court, front covered porch, balcony, gated lower motor court, covered and open patios, loggia with BBQ kitchen, and an infinity-edge swimming pool with spa and deck jets.